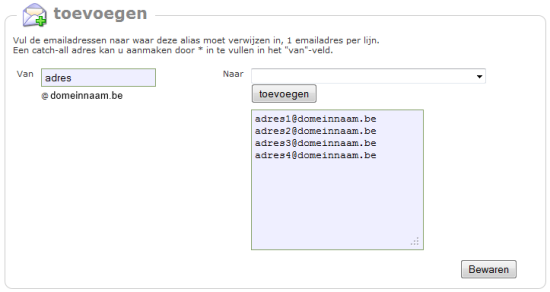 In this menu you can enter the email address people can mail to, in the “From” textbox. The “To” textbox allows you to enter one e-mail address per line to which the mail will be forwarded. Additionally you can also add an existing mailbox to the list of forwarding addresses by using the drop down menu.